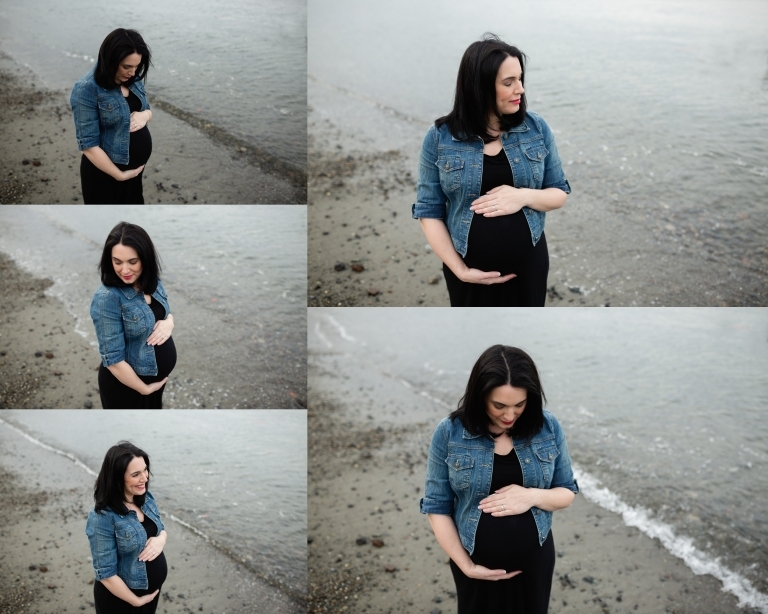 It was cloudy during their Tacoma Waterfront maternity session, but we didn’t let that stop us! We were the only ones on the beach that evening and it was so peaceful! The wind was blowing lightly and the sound of the waves were so relaxing. I really enjoyed this session! One of the best parts about photography is capturing the real, unscripted moments. Those are my favorite! I actually prefer when clients don’t look at the camera and they are in the moment. Loving on one another and their children. To me, that is what life is about! So, even if children want nothing to do with the session (like the little boy did here), there’s a good chance that you won’t even be able to tell! 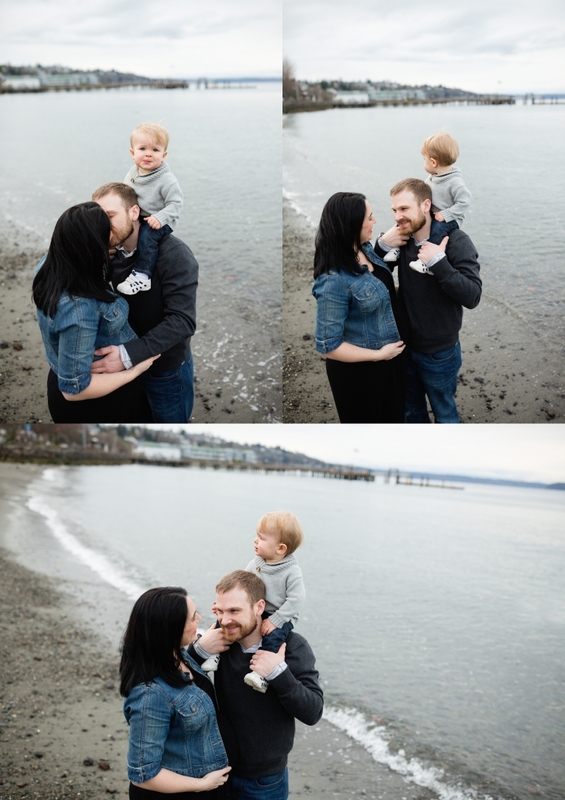 By having the parents play with him, laugh with him, and move with him, I was able to capture those raw moments that I love! And because of that, you’d never know that he had a few meltdowns (like every toddler does..ha!)! We went to Ruston Way for their maternity photos and it really shows just how beautiful downtown can be! It isn’t a perfect beach by any means, but it shows what Tacoma truly is. Not perfect, but lovely and unique. Its a place that you can mention to someone and they know exactly where you’re talking about! 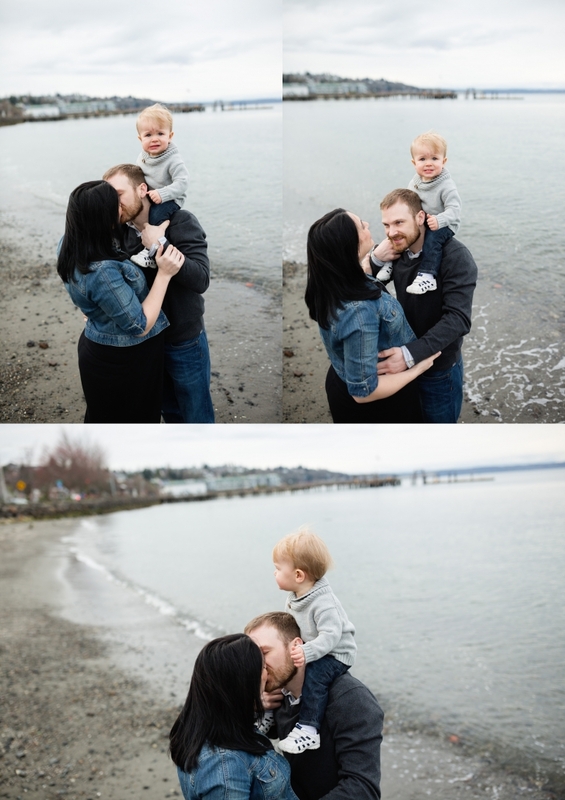 And I’m so glad we used this location because it truly fit this family’s personality!